A great joy of film photography is the community of people who enjoy everything about it: the gear, the films, getting out and shooting, and looking at the resulting photographs. Lots of us share our adventures on our blogs. The community of film photography bloggers is growing. Since I last posted a list of the film blogs I follow, I’ve found a bunch more! To think this is happening when blogs have generally become passé. I’m going to list all of the photo blogs I follow. If you don’t see your blog here, I hope you won’t feel put out. Maybe I just don’t know about it. Let me know which blogs I’m missing in the comments! A Conspiracy of Cartographers — This blog from Eric continues the work he started in his blog Load Film in Subdued Light. He shoots with arcane cameras and expired films and gets just wonderful images. I never miss Eric’s posts. Camera Go Camera — Peggy Anne reviews lots and lots of gear, some of it off-the-wall stuff she bought while living in Japan. Casual Photophile — This site written by James and his crew sets the Internet standard for vintage gear reviews. Excellent writing, excellent images, great cameras. I read every post, from beginning to end. Fogdog Blog — John takes his Nikons and his Pentaxes (and sometimes his Leicas) along the northern California coast. Kosmo Foto — Stephen dispels the myths about film: that it’s too hard and too expensive, and breaks film-photography news. Formerly Zorki Photo. Photography and Vintage Cameras – Mike does great work with his old cameras, especially in black and white. He can make an old folder or box camera really sing. These blogs are pretty active. 35mmc — Hamish Gill and his crew write about cameras and films and photographic skills. A Fortunate Traveler — Stephan has a smattering of film cameras and shares his work from them. Analog Cafe — A group blog of photo essays, reviews, and stories. Attempts at 35mm — Pekka waxes philosophical about cameras and street photography. Barnaby Nutt — Barnaby documents his life with his film camera. Bernard Prunesquallor — Essays on many topics, illustrated with film photographs. Canny Cameras — Gear reviews and photographs by Alan D. This site explained why the Lomography 110 film I use sometimes leaves light spots on some images. A tip of the hat for that. coronet66 — Photos from lots of great film gear from this UK blogger. EMULSIVE — A place for film photographers of all backgrounds to share their knowledge, experience, and thoughts about everything related to film photography. Field Photographer — A group blog about gear and adventure with that gear. Filling the Time — Karen explores photography and film cameras. Film Beginnings — Gear reviews and photo walks. I Still Shoot Film — A group blog about all things film. Japan Camera Hunter — Bellamy lives in Tokyo and finds lovely old cameras for you. And writes about film photography. John’s Cameras — Lots and lots of old-camera reviews. mike eckman dot com — Gear reviews out the wazoo, from common cameras to wacky stuff you’ve never heard of. Olli Thomson Photography — A career ex-pat who lives all over the world, shooting his film gear and sharing his work. Photo Jottings — A lot of film camera tests and reviews. Physical Grain — Personal essays, illustrated with film photographs by the authors. reCap — Gear and photographs. A German blog in English. Why Use Film Cameras? — Frank in Luxembourg shoots film, proving every day that it’s not as expensive as you think. Yashica Pentamatic Fanatic Photos of gear from his extensive collection, mostly Yashicas. These blogs post less frequently, but I keep them in my feed reader hoping for more. 35mm — Film photographs by Charlotte in the UK. All My Cameras — Christoph in Germany and his growing collection. In German and in English. Awesome Cameras — Couldn’t tell you who writes this, and the blog doesn’t take comments (note to author: wish you would), but he/she does some nice work. Blatherskite — Moni writes about many things, but also about film photography, especially pinhole photography. Broken Camera . Club — Mostly reviews of mostly obscure gear. Captured by Film — Occasional postings of film images. Curating Cuteness — Katie shoots film with a small stable of cameras. Digital Film Revolution — Nikolaos shares his film photographs, mostly from Greece. Film Based Traveler — Documenting travels with a film camera. I dream of sumac and milkweed — Personal essays and film photographs. ictus oculi — Torsten’s been blogging for more than a dozen years, off and on, and film photgraphy is his frequent subject. Ivan Pilov Photography — Film photographs, mostly from Israel. Johnny Martyr — Photographing portraits and live music on film. kevinthephotographer — Film photographs from northeast England. Life, Photography, and Other Mistakes — Lovely work on film. Mere Film Photography — Shooting film, printing digitally, thinking and writing about the craft. 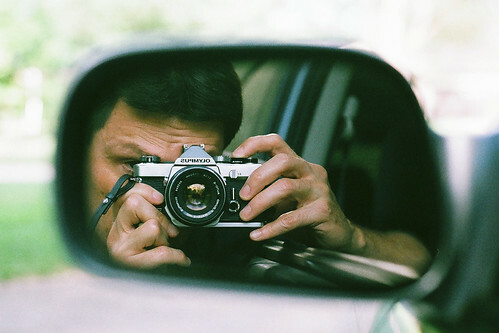 myvintagecamerasblog — Experiments with cameras and film. Photography by Colton Allen — He has a unique eye, in part aided by the position his wheelchair demands he take. Recovering Photoholic — Marcus and his cameras and his photographs. Slow Photography — Jordi shares his experiences with gear and technique. TAZM Pictures — Tom films everything, and often on actual film. the camera doesn’t matter — Exploring films, exploring the world. The Resurrected Camera — Joe proves that film photography doesn’t have to be expensive. The Vintage Lens — Photos with cameras at least 50 years old. View from the Carrot Room — SilverFox moved from the UK to the US and records his life on film. These blogs have ceased posting, or appear to have ceased posting, and I miss them. 52 Film Cameras in 52 Weeks – After 366 weeks, Tony’s blog about shooting a different camera every week appears to have gone silent. 52 Rolls — A group blog from photographers who commit to shooting one roll of film a week for a year. Looks like this blog went defunct after 2017. Analog Photography At Its Best – Paul Giambarba was the pioneering brand designer for Polaroid in the 1960s and 1970s. He shares his favorite film photos, usually Polaroids, from photographers everywhere. Beacon 225 — Ted collects quirky old cameras and shoots with them. He used to write about them, too. Crossings — A film blog, still up in memoriam of the author, who passed away in 2013. Jeanne Yang Photography — Lots of 35mm film once passed through Jeanne’s cameras. Malkimata’s Camera — Norman shoots his old cameras and shares his wonderful photos. My Camera Cabinet — Reviews of interesting film cameras. Picturenoise — A film photographer who leans toward lomography. The Casual Camera Collector – Jim writes short essays about film photography: gear, processing, printing, and what remains of the film business. Through a Vintage Lens — T. Rand Collins, M.D., and his collection of cameras from before 1950. What Is a Film Camera — Richard reviews the old film cameras he buys. Always an honor to be on your list Jim! Hopefully can get more in, in the next few months. Many cameras, not as much time! The one that should be at the top of this list is “Down The Road” because it is one of the best and most active film photography blogs! The great thing about sporadic blogs is that you can subscribe to them and read them whenever they do publish! So no worries – post when you can! Thanks Jim! Appreciate you man! Jim, by the way I know some of the more popular ones on this list, but thanks for introducing me to some new and interesting blogs! My pleasure, and that’s why I do this! It’s ok, not everybody is ocd about their blogging like I am. Keep at it at the pace that makes sense and we’ll all still be there to read it. Jim, that’s too many blogs to follow. Go for a walk with your wife instead. Darn it, I wish this post hadn’t hit on a day when I am supposed to be working. LOL. Thanks for this, I can’t wait to explore some that I don’t recognize! Muahahahahaaaa my nefarious plan is working! Thanks Jim for the mention of my Fogdog Blog. Always appreciate you. I’m grateful to you for your wisdom and experience and support! Some are well know and others are not. Will take some time to visit. This list is eclectic to be sure. Enjoy! Jim I’m curious, I think you mentioned before you spend about 10 hours a week writing for your blog. How much time do you spend reading other blogs? Yeah, I wondered if you’d notice. You really have gone digital — which I think is wonderful, but also disqualifies you from this list. I’ve managed to shrink my blogging time to 6-8 hours now. I read other blogs when I have downtime, such as when in the loo or waiting for an appointment. If I can’t get my blogs read in that time they don’t get read. Hope you get some follows! Just an update…The 52 Rolls site is inactive. EMULSIVE has been trying to track down the owner. I’m in the process of downloading my posts. I just moved 52 Rolls to the defunct-blog list then. Thanks for the update! If you can I would suggest you get a hold of, or at least look at, the latest issue of The Smithsonian September 2018. I get it and while I don’t always look at the contributors I did this time because there was a shot of one of them using a Speed Graphic. I then realized that all the contributors either used film photography, to Polaroid, to wet plate to accompany the stories.The article on Code Name:Verona used Tri-X and a non-metered Pentax SLR. Film isn’t dead. Well I’ll be dipped. We might still take the Smithsonian so I’ll see if we got it. Very informative thank you for listing! That’s an impressive list with a few that are new to me. Thanks for the mention though it has left me feeling a bit guilty since all my recent shots have been digital. But it did encourage me to get out with my Minolta XD today and shoot most of a roll of Delta 100. So I now – almost – have two rolls from Bulgaria ready for developing. You’ll notice that half of my photos here are digital too. It’s all good. Thanks for the mention……..(https://myvintagecamerasblog.wordpress.com/). Lately I’ve spent way too much time on Twitter and not enough time reflecting on my work and blogging. That will change this Fall! You’re welcome! I look forward to more blogging from you. Awesome – thanks for the inclusion. Thanks for the mention. I was reminded that I haven’t updated my blog in a while. I’ll be posting more in the coming weeks. And just when I’d pruned my RSS feeds… thanks, Jim… amazing resource. Much appreciated. yeahhhhh, sorry – there’s a lot to read here! Jim! Thanks for linking to my blog, I really appreciate it :) I’ve followed you via my RSS reader, and I’m going to indulge in a nice long read of your backposts now. All the best! My pleasure! And thank you for looking through my archives – they do get lonely! Great list. I’m going to enjoy checking many of them out. I’d love to get your feedback on it. Thanks again for compiling an excellent list. 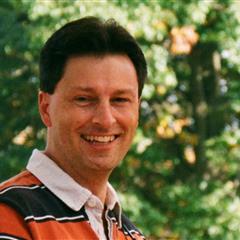 Hi Wayne – thanks for the link, and happy to add your blog to my feed! Thanks for the wonderful list of film photography blogs Jim. I shall work my way through the listing and seek inspiration and motivation to get out and about with my film cameras more often. P.S. I occasionally post about film photography on my blog over here – https:// theoccasionalphotoblogger.com. Such a great list of film photography blogs. Thanks for taking the time to compile the list. Just read your blog on other bloggers to follow in 2018. Can’t follow all but will occasionally read each one and pick the ones to follow.